How many calories in Artichokes? See below, the Artichoke calories for the different serving sizes. We provide you with the Artichoke nutrition facts and the Artichoke benefits to help you to lose weight and eat a healthy diet. The Artichoke or Globe Artichoke is surprisingly a member of the thistle family. 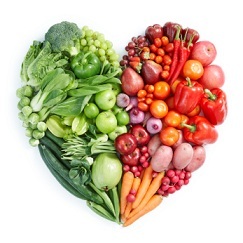 It is very low in fat and provides a good source of folate (folic acid), vitamin c, calcium, magnesium and phosphorus. They are also a good source of fiber and are low in calories. 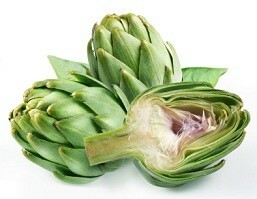 The Artichoke increases bile secretion, and is therefore thought to lower cholesterol. It is also thought to stimulate the appetite, as it increases the flow of digestive juices and speeds up the digestion of food. So, if you are on a weight loss program, you may wish to skip this vegetable or limit your intake. We have calorie and nutrition tables below. See our vegetable calories comparison chart to compare the calories in Artichokes with the other calories in other vegetables. Also, have a look how nutritious Artichoke is in comparison to the other vegetable nutrition facts.